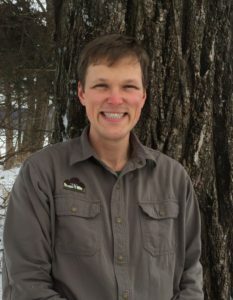 Luke is the owner of Prudenterra and is a Certified Forester with the Society of American Foresters (SAF). After graduating from Iowa State University (B.S. Forestry, 2008), Luke created Prudenterra to interpret ecological communities and opportunities to Iowa landowners. 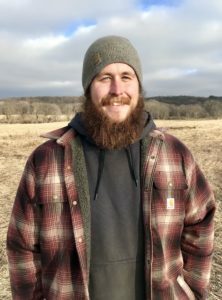 While working part-time for private landowners and learning from his mentor, naturalist Carl Kurtz, Luke worked at the non-profit organization Practical Farmers of Iowa and grew vegetables with TableTop Farm. In 2014, he went full-time with Prudenterra. Luke grew up in Newton, Iowa and serves on the board of directors of the Iowa Prairie Network. He lives outside of Nevada, Iowa on a farm with his partner, Sally. Annie grew up in Des Moines, Iowa, and studied landscape architecture and environmental studies at Iowa State University (BLA, 2012). Her education included a semester at Humboldt State University focused on ecosystem restoration. 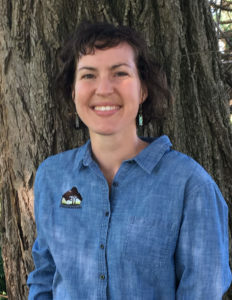 Before coming to Prudenterra, Annie worked at Prairie Rivers of Iowa as a Natural Resources Coordinator, worked on an organic CSA vegetable farm, and was a landscape architecture design intern with the ISU Extension Community Visioning Program. 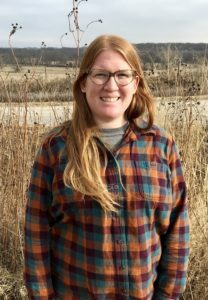 In her free time, Annie loves kayaking and exploring wild landscapes, gardening, and restoring her urban prairie. She lives in Ames with her husband, Colby, their cat Cleopatra, and a flock of backyard chickens. Christian comes from a family of carpenters, a trade that he worked while studying geology at Iowa State University, and continued until signing up with the Conservation Corps of Minnesota and Iowa. He served first as a crew member, and then as a leader, restoring prairies and wetlands from Wyoming to Indiana. While in the Conservation Corps, Christian had the opportunity to learn and work alongside both federal and non-for-profit project partners such as the National Park Service, The Nature Conservancy and the Iowa Natural Heritage Foundation. When not restoring native ecosystems, he loves to spend time backpacking, camping, hunting, and fishing. He also enjoys historical reenactments and carpentry projects. Sally hails from Nevada, Iowa, and studied anthropology at Truman State University (B.A., 2009). She spent a year in Argentina as an exchange student, and studied abroad in Mexico for a semester. Sally grew vegetables as TableTop Farm for five years, and has worked on four Iowa produce and grain farms. In addition to working for Prudenterra, Sally grows certified organic corn, soybeans, oats and hay on her family’s farm. 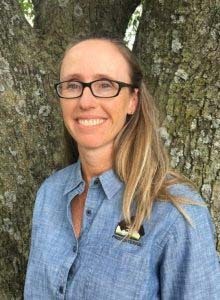 She is passionate about native habitat restoration and a systems-based approach for a more resilient agriculture. She enjoys hiking, camping, listening to books and podcasts, gardening, and exploring new places. 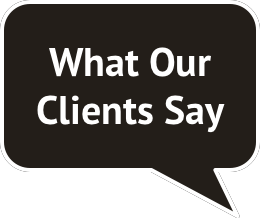 Crystal came to Prudenterra with over 22 years of bookkeeping experience. When she isn’t keeping our numbers in check, she’s out on the Riggins Family Farm teaching her family and the local community about the importance of sustainable farming. Crystal lived in Arizona and Colorado before moving back to the family farm in central Iowa, where she lives with her husband Steve and their daughters, along with horses, goats, and a donkey. 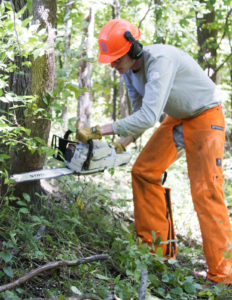 Crew members utilize chainsaws, prescribed fire, and other tools to implement woodland and prairie restoration work at Prudenterra. Many crew members are students or graduates of the Natural Resource Ecology and Management (NREM) department at Iowa State University.